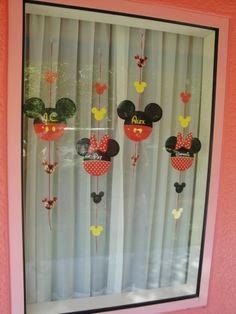 I have been to Disney about 15 times and never have I ever decorated my hotel room window. I have seen people who do this and always comment on how cute it is...but I just haven't done it myself. This is all changing on our upcoming trip. I want to do every little thing I can do to make this trip super special for Sally. Of course I went to Pinterest to search for inspiration. 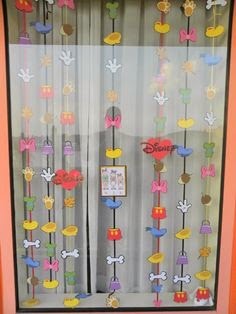 I found lots of cute ideas. I wanted something a little different so of course I went to my favorite Etsy shop for printables: Lauren Haddox Designs. She has helped me with both of Sally's birthdays and I love working with her. She designed a banner for me to hang up in our window. Of course she did not disappoint! 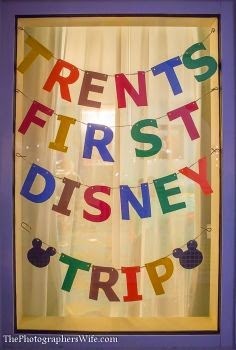 I didnt want to wait until after the trip to show you our window because I know several of you are going to Disney in September. 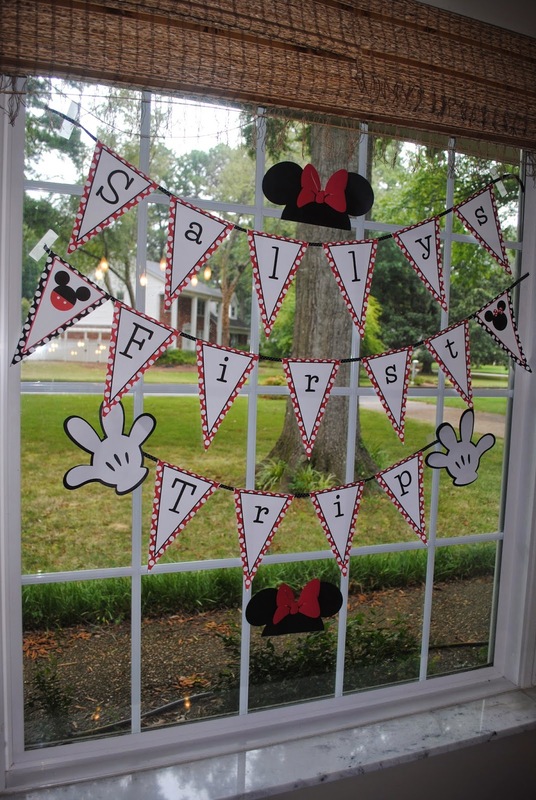 I decided to do a little mock up on my dining room window to show you what I plan to do. The banner is printable. Lauren can customize it to your child's name. She also takes special requests. All you do it print it out, cut it out and hot glue it to ribbon. I had the Mickey hands and Minnie ears left over from Sally's birthday.